It was about time for both moves, right? Yeah! I've first experimented with moving to Drupal 7 on a copy of my blog this January, and that went relatively well. I've had issues with one node module update function and non-unique entries in my files table, but the inconsistent data issues I fixed myself, so the update went smooth. However it did not go live due to hosting and other issues. Of course I don't need to look too far for hosting, Acquia provides fantastic hosting offerings, and just using the cloud hosting product for this migration turned out to be a pleasure. The version control based automated deployment, drag and drop workflows and the availability of command line tool power combined made me able to migrate my blog in a couple hours (with the DNS turnover taking what felt like lots of time after that). As with all updates, I took a long look at the modules I'm using, and decided to drop some. I've dropped the Feeds module setup for twitter aggregation that I've set up in 2009. I still intend to tie in twitter, but that setup was too much for this simple task. I might end up porting the Aggregator item promotion module that was originally written for the drupal.org redesign but then went unused, to Drupal 7. I've also dropped tagadelic and my flickr feed. 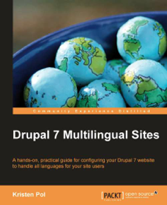 On the other hand, I tried to give more strength to the useful content I have, so decided to create a book module powered compilation of my multilingual Drupal 7 article series for easier navigation. I also believe that this simple configured version of the Bartik theme gives more room to my content and is overall cleaner and more professional compared to what I had before. Hopefully I'll have some time to tinker with this new setup as time goes and improve it continually. So far I'm definitely satisfied with the results and believe it will be better for my readers as well with the speedier service and slick look. I'd like to hereby thank my previous provider, hoszting.com for the hosting space they've provided me with over the years. 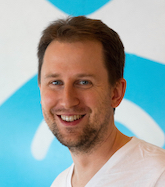 Open source as life insurance - how did that work out? Back in the day when I was a college student, I was participating in "technology roadshow" events around the country presenting Drupal to various people. At one occasion, I presented to primary school and high school teachers and surprisingly, one of the teachers from my old high school was there, interested in the topic. We explained with my co-presenter István Palócz, that Drupal is free (as in speech and in beer), and that they can just install that for their school (as István did at that time), and use as an intranet or their public facing site. Read more about Open source as life insurance - how did that work out? 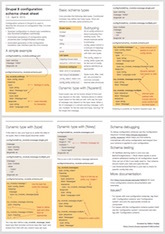 I've been involved with Drupal localization since the early times I'm with Drupal and was looking at ways to keep improving language and translation setup. 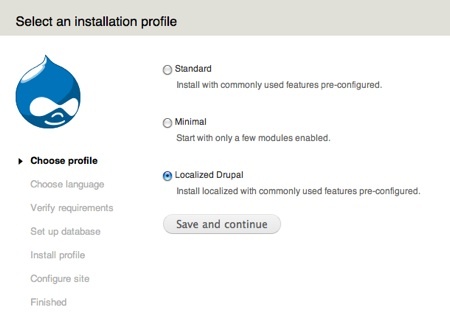 Still, if you need to install Drupal 6 localized, you need to download Drupal 6 in English and when prompted in the installer, go and grab a package for your language. That has a structure resembling Drupal core itself, and if you extract it to the right directory, each translation file will fall into place. Then if you go back to install Drupal, it will go localized. While many people learned the tricks of the trade, this is not entirely easy. Extracting packages to the same directory as Drupal core is not easy on the Mac, where this ends up by directory overwrites by default. It is a confusing experience for newcomers on various operating systems, because merging two packages by extracting to the same directory is a (clever but) foreign concept. But if you think of it, we tell you to download a file from a well known place, let Drupal know about it and then import it. Why wouldn't the installer download the file and import it for us? With the advancement of http://localize.drupal.org/, the contributed module and theme translations are also decoupled from the projects, so there is even more user effort in obtaining translations for them, while this could all be automated. This thinking drove to the birth of the Localized Drupal install profile, which is now available in proof-of-concept form for Drupal 6 and 7. The user interface for the installation could definitely use some polish as we need to let you choose from the 70 languages available on localize.drupal.org, but honestly, localized installations should not be harder then this. Let's take it for a spin! In both versions, you'll be presented with a "Localized Drupal" selection among the install profiles. You need to select this to take advantage of the automation provided. This is due to the architecture of installation profiles. A library component is planned for this profile, so that other distributions can include the code needed to start installations off in a foreign language, but for plain Drupal core installation, you'll need to choose this separate profile. You'll need to choose your language of course, but you should not be required to do anything else beyond that. This is it. While this might provide immediate installation simplicity, for contributed modules to provide similar ease of localization installation and updates, Jose Reyero is hard at work on the Localization update module. Think of this as the install and update module for localizations. 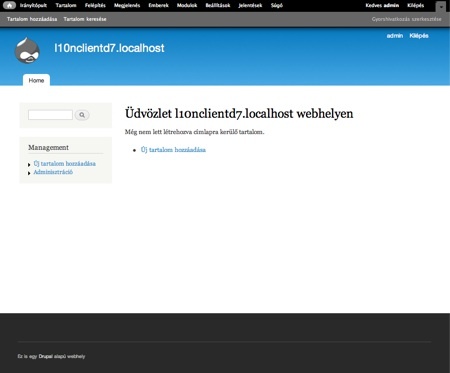 The Localized Drupal install profile is moving towards including and utilizing Localization update for an overall pleasant localized software experience. As soon as you add a couple contributed modules and a theme, you'll find it much easier to manage interface localizations with Localization update compared to trying to make it work manually. Oh and it works with Drush too. Feedback on the install profile as well as the update module and the concepts and approaches is welcome.